Answers to Forestland Financial Optimization in all time spans (annual, decade, century). Forest Econometrics is where forestland owners and managers can come to gain better understandings of both managing the physical site characteristics of their forestlands, while also gaining a thoughtful reality to economics of their investments. Forestlands grow trees, with some sites being more productive than others. We need to use available technologies to gain a firm understanding of what ‘productivity’ means for all resources of the land. This is where forestland financial optimization is discovered, with actionable guidance to achieve forestland ownership goals. Commercial forestlands are located in market areas where timber logs, known as commodities, are bought and sold in competitive markets. Whether forestlands are on highly productive, or marginally productive lands, they cost the landowner in property taxes, maintenance fees, forest health management, and planning. This is what we focus our attention on. Forestlands produce more than just logs to be milled into lumber, chipped into pulp, or burned for heat. Forestlands are part of the landscape protecting soils, filtering precipitation as it flows as river water, and serving as part of wildlife habitat. Forests sequester Carbon in the tree stem, roots, branches, and needles/leaves. Forestlands also provide aesthetic beauty for people to enjoy and feel the sense of continuity. Forestlands have served as part of indigenous peoples’ culture since time immemorial. They have always served partly as protection barriers, partly as fuel sources, and partly as the anchor to spiritual ethos. Forestlands, with rivers, mountains, valleys, fish and wildfire, define indigenous norms and traditions. Tree characteristics are each unique, but today we can discover how trees, wildlife, birds, fisheries, aquatic systems, soils, water, indigenous traditions and norms, and livelihoods of all people of the region are interrelated. All forest ecosystems have a temporal as well as a spatial dimension. Forest ecosystems, generating wood production, creating habitat and recreational values, continuing indigenous population traditions and norms and providing wildlife habitat, to a large degree depend on the underlying ecosystem structure, especially on its micro-structure. Ecosystem managers collect specific data to help guide activities on the land. Much of these data are collected with timber production as the primary goal, but can eclipse these targets to embrace so much more. FRASS applies financial management insights unlike anything applied to timberland properties before. Creation and sustainability of the livelihoods of all people of the region. Forest Econometrics is part of D&D Larix, LLC, a natural resource consulting company combining Geospatial Analysis, Forest Econometrics, Natural Resource Management, and a wide collection of planning tools to assist our clients achieve their goals. Neil Raden, analyst and consultant at Hired Brains said, “the ‘users’ of these tools are increasingly people who are one or even two generations younger than those of us who started this party. They will not tolerate the quality of the legacy tools. Their experience is not in enterprise software, it’s the consumer web, where things are engaging and actually work …” FRASS is one of these solutions. It is geared to move data into an operational status for people to make decisions and share it with co-workers, clients, and investors. Spatial polygons to indicate roads, streams, features, and habitat. Digital raster imagery collected from traditional techniques and up to date collection of LiDAR (Light Detection and Ranging) surface features at resolutions greater than 1 meter per pixel. Satellite image collection from a broad span of spectral layers capturing visual and hyper-visual images of the features of the earth. Forest Biometric processes modeling forest vegetative activity using species, habitat types, age, density, position on the landscape, and forest health vegetative responses, modeled through years, decades, and centuries into the future. Forest Econometrics application of the microeconomy and macroeconomy to realities of individual forestland owners and the markets they are a part of. These features are tools in the work-belt of the professional resource manager seeking the highest financial returns from their forestland investment. These are the tools we apply in the Forest Resource Analysis System Software (FRASS) platform. 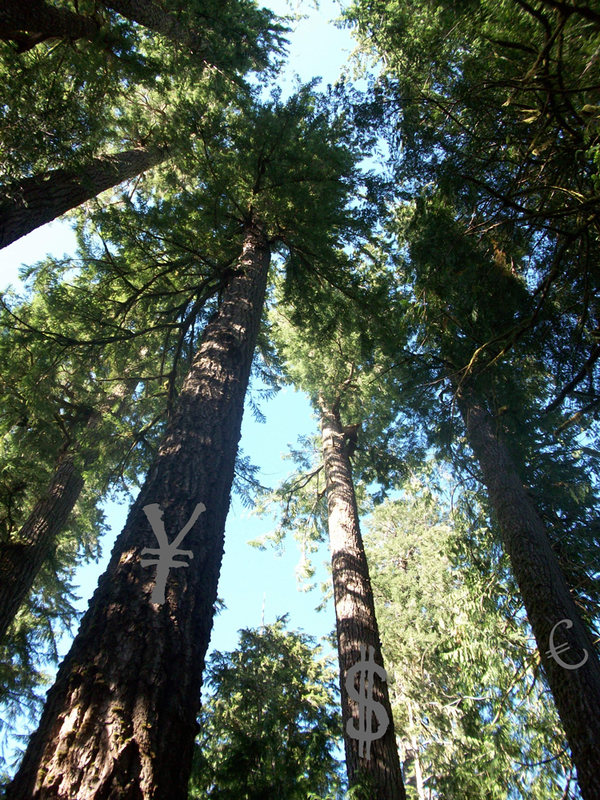 The approach is presented on this web domain (http://forest-econometrics.com/) but the operational platform is running on real Pack Forest properties, managed by the University of Washington. Dr. William Schlosser of D&D Larix, LLC, is the originator of the FRASS program, its input design, econometric processing algorithms, and report deliverables. The platform is applied to forestlands owned by people, companies, Indian tribes, and governments. The secure site sequesters physical site conditions of the properties evaluated, allowing access only to authorized people. We give interested clients a tour of the demonstration site (Pack Forest) at no charge, and will provide access to the site after the tour so individuals can experiment and examine how it can help to guide activities on their specific forestlands. Welcome to the Forest-Econometrics web site where you will learn more about the FRASS platform, what it does, and how these solutions can work into your forestland management plans. THIS is the new technology you want in your arsenal of tools to apply to your forestland investment. Read through this site, explore the tools we make available. When you are ready, contact us to schedule your no-cost virtual tour through the FRASS Demonstration Site. While you watch these videos, click the CC (Closed Captioning) button to read along with the narration. Watch FRASS theme videos on our playlist, subscribe to be alerted when new videos are posted!